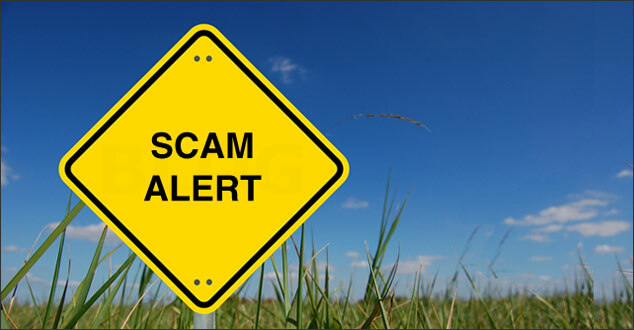 The world of search engine optimization is filled with SEO scams. There are thousands of people that do not really know much about SEO and that sell professional SEO services. Because of their lack of knowledge they will use different claims to get clients. I already talked about this in the guaranteed Google number 1 ranking position SEO scam. The bottom line in this case is that it is impossible to guarantee any rank. You can be the best SEO specialist in the world, do the best possible work and still not reach your target. That is the nature of search engine optimization. The specialists you hire should do adequate work that would bring in long term results, not promise a specific position for some keywords. When someone promises a specific rank, you want to work with someone else. It is as simple as that. This seems like a great deal for someone that does not know much about how search engines work. They are promised that their site is submitted to hundreds or thousands of search engines. That means that more traffic will appear, right? WRONG! Besides the fact that there are not so many search engines on the internet as the SEO scammer would want the client to believe, most of them are not going to have much traffic. The situations in which another search engine except Google, Yahoo or Bing would help are few. In most cases the only thing you get after submitting a site to hundreds of worthless search engines is an email filled with spam. This SEO scam works with the people that do know that in SEO there is a need to get backlinks to rank. Since this is the case, there is a belief that all directory links would help rank a site. When the scammer promises thousands of directory links, relevant or not, the business owner ends up thinking that this will help, especially since prices are normally incredibly low. The big problem is that Google has an algorithm that is very complex and the links that are not relevant or that do not come from authority sources will not be taken into account these days. Google knows how to spot these links and the only thing that may happen for your site is a manual action. The last thing I would like to highlight is the situation in which someone tells you that he cracked the Google ranking algorithm. This is simply rubbish. It is impossible since there is actually no person alive that knows the entire algorithm. The SEO scammers that say they broke the code will just lie. Also, remember that the algorithm actually changes several times per week, sometimes even per day. It is simply impossible to put your hands on the entire Google ranking algorithm and even if you do, it will not be relevant pretty soon. It does not matter if you are a small blogger that wants to get some extra traffic or if you are the owner of a multi-million dollar business. The best thing that you can do is start learning some SEO. You do not need to do the work yourself. You just have to know what you are talking about with the SEO specialists that you think about hiring. This will actually help you to avoid all scams. Here are some great resources to start. Many others can be found with a fast research. Just make sure the authority of the authors is as high as possible.